Get set for Cafe Asia & International Coffee and Tea Industry Expo 2017! Café Asia 2017 will open its doors once again to the fast growing ASEAN Economic Community at Marina Bay Sands Convention Centre, Singapore from 2 to 4 March 2017. 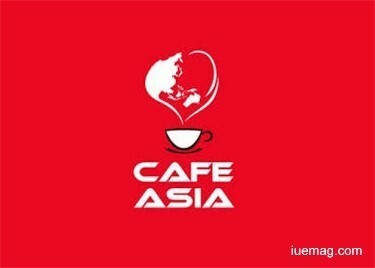 The giants of ASEAN (Indonesia, Malaysia, Thailand , Singapore, Philippines & Vietnam) with a total combined population of 625 million and a combined growth of 5% annually, will be able to use Café Asia 2017, Singapore as the best platform for suppliers and exporters to showcase their coffee/tea commodities, beverages , accessories, equipment and supplies to the ASEAN buyers and beyond. The expositions are held concurrently to offer the ideal one-stop convenient hub for professionals to source for supplies and explore business opportunities with both regional and international counterparts. They are the most dedicated events on the region’s café, coffee and tea industries in Singapore. As the only trade and consumer exhibitions in Southeast Asia catering to the café, coffee and tea communities, Café Asia & ICT Industry Expo will bring together café owners and managers, coffee and tea exporters and importers as well as distributors and suppliers of café-related machinery and equipment in a dynamic marketplace. The major highlights of the event include participations in four national championships – Singapore National Barista Championship, Singapore National Cup Tasters Championship, Singapore National Latte Art Championship and Inaugural Singapore Coffee in Good Spirits Championship. It shall also include a unique competition - Tea Masters Cup Singapore. You shall get to witness the best baristas and artists compete for the championships. Get a Priority entry to Café Asia & ICT Expo by getting a membership at the Café Owners Alliance, an initiative by ICT, supported by Singapore Coffee Association, the Café Owners Alliance offers a rare opportunity where café owners now can collectively become a stronger voice and gain a stronger presence in the local F & B scene. Apart from linking cafe owners up with valuable resources such as suppliers and vendors, cafe owners will also receive frequent updates on related events, workshops and seminars by the Cafe Asia Series. Also, the Alliance is an additional value-add platform for cafe owners to publicize their cafés through Café Asia & ICT Expo’s publicity platforms. The annual event shall be the largest gathering of players from the coffee, tea and bakery industries in the region. Join the Café Asia 2017, Singapore to expand your business and network with the new entrepreneurs in the Café & Bakery Industry! The event shall be the perfect place the best coffee professionals of Singapore and the Asian region and to understand the growth of Asia’s coffee and tea culture. Any facts, figures or references stated here are made by the author & don't reflect the endorsement of iU at all times unless otherwise drafted by official staff at iU. This article was first published here on 17th December 2016.